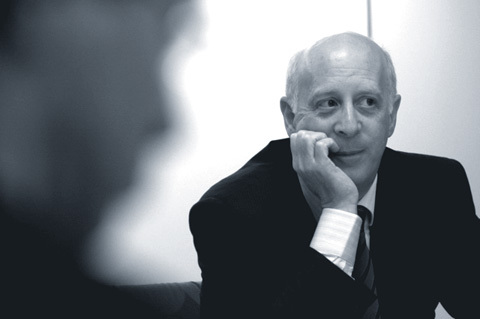 Paul Goldberger wins the 14th Vincent Scully Prize. It’s been quite a year for architecture critic Paul Goldberger, and almost as dizzying for his readers as for him. But the The New Yorker‘s loss has turned out to be Vanity Fair‘s gain, giving the glossy additional gravitas. Now the National Building Museum has added Goldberger to its illustrious roster of Vincent Scully Prize winners. “I don’t know that I’ll ever be on another list that includes Prince Charles and Jane Jacobs,” Goldberger said in a telephone interview. The speech he plans to deliver at the museum on Thursday, November 15th will hit on themes that many in the profession have been mulling over for the course of this tumultuous year in the architectural press: the state of architecture criticism, the changing role of mainstream media in a digital world, and the rise of citizen journalists. “It’s a paradox about the great degree of interest in architecture and yet a diminishing amount of outlets,” he said, wondering out loud whether the buzz in social media is the equivalent of what is being lost in the general media. He added that it’s a complex issue when a mass of voices drown out the opinion of the specialist. “There is a profound value to expert guidance,” he said.